“Juleøl”, Christmas beer, was first mentioned in the skaldic poem Hrafnsmál (Old Norse “raven song”) around 900 AD: “At sea the King will drink jol and resume Freya’s game”. Today Jul mens Christmas in Norwegian but the word originates from “to drink jol”. On the occasion of the annual winter feast, people were drinking strong beer to celebrate the sun’s return and the Norse gods. In the beginning, jol was a pagan feast celebrated throughout Europe in December and January. 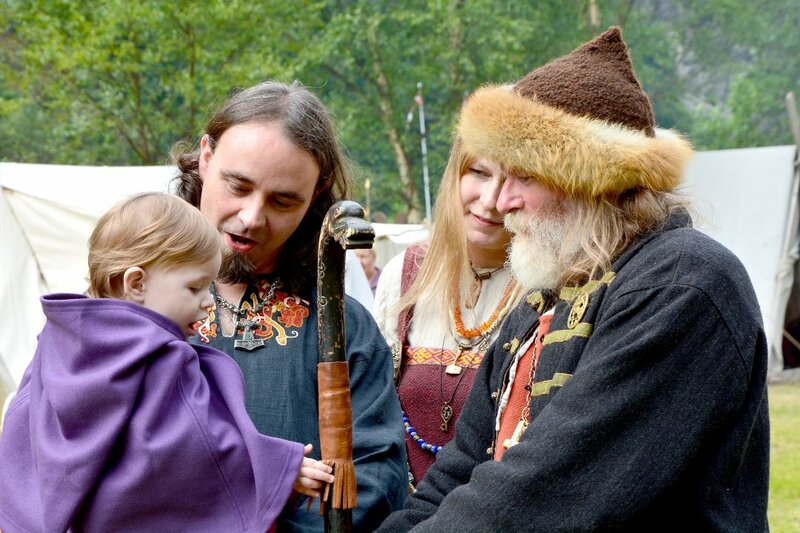 At least three neighbors would gather and bring a certain amount of beer to the community where they drank in honor of Freya and Odin, for the sun to return, for good harvests and peace. Beer drinking had a central position in Håvamål, an Old Norse poem from the Viking age, describing specific drinking rules during the different feasts. It is written that “when the beer enters, your mind goes out, but those who drink again regain their wits”. 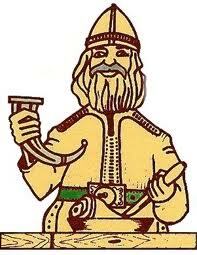 The tradition of brewing beer was introduced by Olaf Tryggvason, King of Norway from 995 – 1000 AD. It is said that St. Martin of Tour came to Olaf in a dream and directed him to give the old pagan customs a Christian content. Around the year 1000, the winter solstice became a time when people brewed strong beer and drank to the glory of Christ and Mary: The stronger the beer, the greater the honor. He who made excellent brew was given high status. The beer should be brewed from the farm’s best grain, and could be seasoned with juniper berries, sweet gale, and different herbs depending on what was available. The brewer was free to experiment and use new flavors to highlight personality or originality – and each region had its own traditions. Here is a homemade Norwegian Christmas Brew recipe. You should feel free to experiment with different flavors to your own perfection. Boil the water and set it aside until the temperature reaches 35 degrees Celsius (95 F). Dissolve the sugar in water and add dark beer and hops extract syrup (Tomtebrygg). Mix very well. Remove 0.26 gallons (1 liter) of the liquid and stir the yeast well into it before pouring it all back in the mixing vessel. Fill clean beer bottles right away and store them dark and cold for 3 weeks.